National hotel chain with convenient facilities! 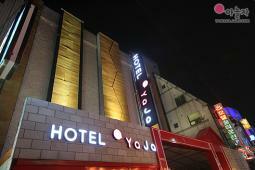 Hotel Yaja is the national hotel chain which has branches from metropolitan area to local regions. The name Yaja is a coined word from Korean words ‘Hey’, ‘Let’s play’, ‘Let’s rest’ and ‘Let’s sleep’. Hotel Yaja, different from existing hotels where guests only sleep, is the popular hotel for offering a space where guests can play, rest and sleep. The first branch is located in Seomyeon downtown Busan, and guestrooms are carefully decorated. The location of the hotel is convenient for shopping and sightseeing as there are Lotte Departmetn Store, Seomyeon market and the main street. The access from the airport is also convenient as the hotel is nearby Seomyeon station, the intersection of subway line 1 and 2. Enjoy a unique stay while resting and having fun at the same time.